Can you believe we’re just a few days away from 2017? No matter what 2016 was like for you, the beauty of the new year is that it’s a chance to start fresh. 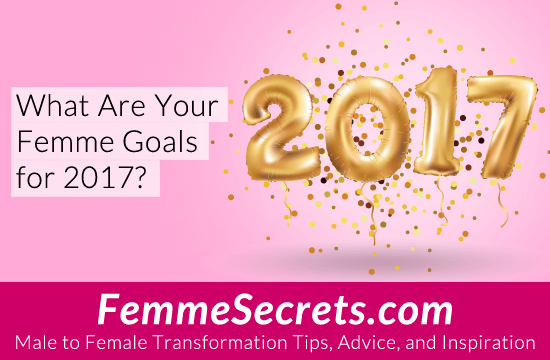 Have you set any goals for your feminine self for 2017? 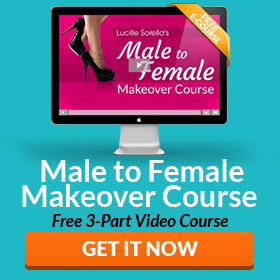 Whether you’re a part-time crossdresser or live as a woman full time, your femme self is important. And knowing what you want for HER is the first step to achieving it! On that note, I’d love to hear your femme goals for 2017. Please share them with us below! Hi Lucille. And hope the New Year (2018) finds that all of the wonderful ladies here, have had your dreams and wishes come true in 2017. My wish hasn’t. He’s working, but in the opposite direction than last year. So I don’t get to come out to play as often as before. I found a gas station with three very friendly GG’s, we don’t get to talk very long daily, as he is expected to be at work within 15 minutes of leaving home (his wife has committed about it). This last summer He had to go on two 6 hour round trips for work, he allowed me to drive, it was heavenly. Especially stopping for rest breaks. I ever used the ladies restrooms. I added pics of those days.